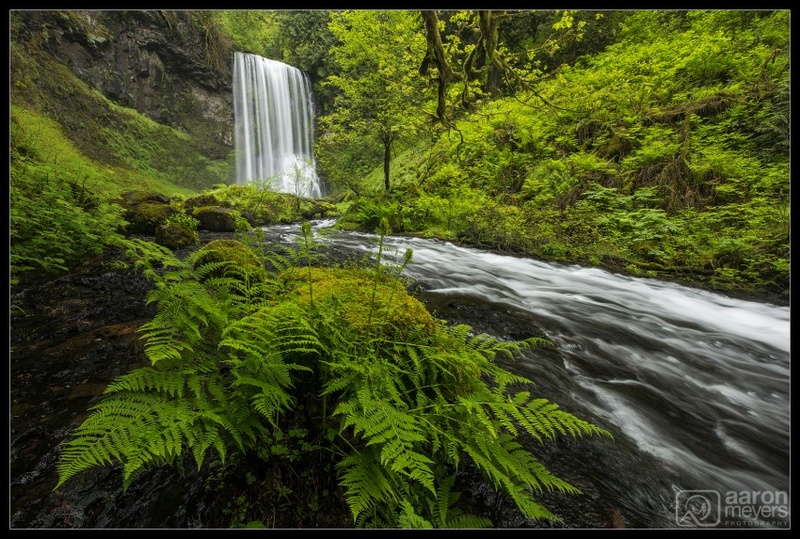 When you travel to Oregon and visit the Columbia River Gorge every year, you find yourself struggling to find new waterfalls that you havent previously seen. Willie, Zack, and I spent a weekend in the gorge but it was Rami who suggested we try something new: Upper Bridal Veil Falls. This waterfall is deceptive: the wide angle lens masks how big the waterfall is. Its huge. I wish I had placed a person in here to provide perspective but sadly we were all so focused on shooting the ferns and the waterfall that we forgot to run in front of the photo. I loved the way this fern unfurled in front of the waterfall, while the stream soared down next to us. The whole waterfall and stream reminded me of a brides veil and dress, as it flows down behind her.